A world where a printer connected to a computer can produce a solid object sounds like science fiction, but this technology is no pipe dream. 3D printing is here and sparking revolutions in fields from manufacturing to medicine. With the advent of 3D printing, internet users can share more than digital data — they can share tangible objects. Consider the startling case of Texan law student Cody Wilson, a bright mind who created a deadly plastic pistol invisible to metal detectors. Cody created his plastic gun using his personal 3D printer and shared his blueprint online so others could do the same. The American government quickly shut the site down, but not before more than 100,000 interested people downloaded the files. It’s unclear how many will create their own guns, but they need only a computer, a 3D printer, a roll of plastic, a nail, and a reliable internet connection to do it. Not a background check or a license. The potential to share such dangerous information is frightening, but remember users can also share more positive products. Consider the potential for a fashion designer to sell her wares directly to a customer who can print a new outfit in time for a party. Imagine that party goer remembering the stores are shut, but printing off the perfect present for the guest of honor. Sharing real objects rather than ideas stands to make the internet even more valuable. Doctors are using the new technology in a range of fascinating ways. In May, doctors in Michigan used a 3D printer to create a small airway splint. They implanted it into two-month-old Kaiba, a boy with critical breathing problems and cured his condition. The splint will be absorbed by the body in about three years, when little Kaiba’s airways are strong enough to work on their own. Earlier this year a British man disfigured by cancer was given a new lease of life when doctors created a partial prosthetic with a 3D printer. 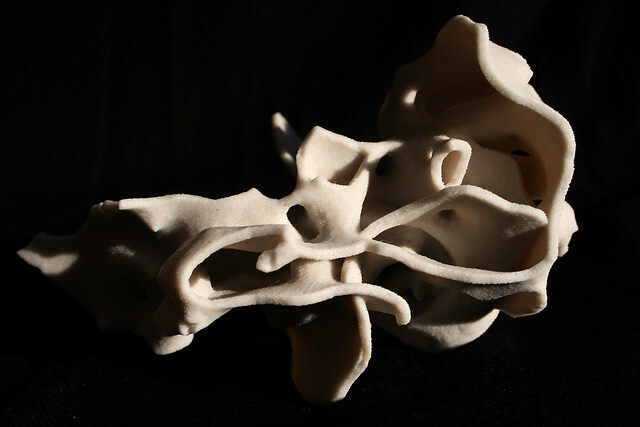 And we’ve only just begun exploring the medical potential of 3D printing. As 18 people die every day in America waiting for a transplant, the printing of organs is understandably a key research area. Through social networking, consumers started to tell businesses what they want. Now with 3D printing, forecasters believe businesses will deliver it better than before. New Balance is already leading the way, creating footwear that considers how an individual runs. These custom printed shoes know how to best support the owner’s feet and improve their performance. Just where 3D printing will take us is unclear, but early indications suggest that this invention may be one of the most significant tech breakthroughs in decades.